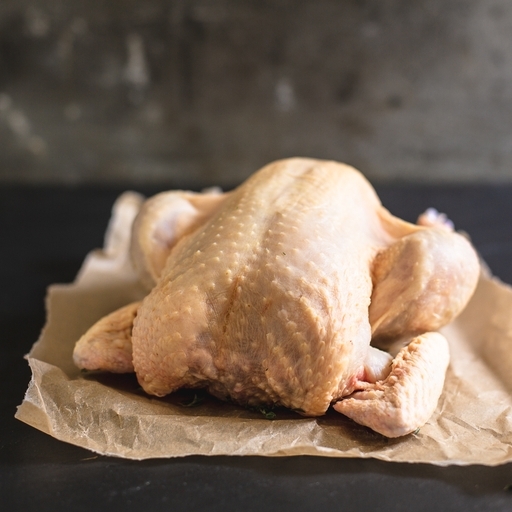 A whole fresh organic chicken for roasting or poaching. Most chickens are sold without giblets these days, but we include them so you can make the absolute best stock for gravy. Roast dinner heaven! Our chickens are truly free range and organic, spending their time grazing outdoors, resulting in tender meat that’s full of natural flavour. Serves 4-5. For a 1.8kg chicken, brush with olive oil or butter, season well inside and out, and roast in a 190°C/Gas 5 oven for about 80 mins, until no pink juices remain (any stuffing will increase the cooking time). Baste several times during cooking. Alternatively, poach with stock vegetables for 80 mins.